Donation Goal for our Scholarship Program: $5,000. Our scholarship program offers financial support to the underprivileged youth in the Kuraburi area, three hours north of Phuket, Thailand. By easing the financial burden of local families sending their children to school, we are encouraging them to continue educating the future of our society. Donations to the scholarship program go directly to cover the cost of tuition, as well as uniforms, school supplies and in some cases, transportation. Without this funding, the children simply cannot afford to attend school. Their education will have to end by the age of 14 and they will struggle to find a decent job. The NAN foundation directly supports the Moken, or sea gypsies children living on Koh Surin with an opportunity for an education beyond the 5th grade. The small school on Koh Surin is only able to offer the most basic curriculum and does not have the resources to offer classes past the 5th-grade level. The sweeping changes that impact the Moken community are not lost on their children. Their parents see that education is the key to help them make their own decisions about their future. Moken children from the Kuraburi area have an opportunity to attend a boarding home and Thai school about 1 hour from the town. They are given the opportunity for a better standard of education and full board at the Don Bosco home where they are taken care of. They are surrounded by other Moken children from the North Andaman area which offers them a comfortable and safe place to study and grow. The children return home every other weekend to see their families who are proud to have them attending school and preparing themselves for a bright future. US$1.50 per day can help support the costs of living at a boarding home and attending school. The donation covers: uniform fees, daily snack at school, cost of meals and board at Don Bosco home, transportation to visit home twice a month. The students live in Takuapa District during the school year and return home to visit their families twice a month and during school breaks. They are proud to continue their education and excited for future opportunities. We hope that by educating the next generation of Moken we can empower them to be the deciders of their future and the stewards of their culture. In cooperation with our partners at the Rotary Club Patong Beach Phuket, we help to administer scholarships to underprivileged local Thai youth since after the 2004 Tsunami. The scholarship program has been able to offer financial support to almost 150 youth over the years, and this year 16 local students will be receiving this benefit. The scholarship helps to cover the cost of uniforms, school supplies and tuition fees. Each grade school student receives 6,000 Thai Baht (about US$180) and each high school student receives 8,000 Thai Baht (about US$240) for the academic year. Students are required to come in for a yearly interview where they talk about their studies and aspirations for the future. By donating to the NAN Scholarship Program you are helping to raise the education level of not just the North Andaman, but the world. These young people are the next generation to protect this vital natural and cultural environment in Thailand and by education them we are empowering them to become thoughtful and caring leaders. Kaow Neiow or ‘sticky rice’ is 14 years old and studies at Takuapa school as part of the Moken Scholarship Program. She likes to study art, especially pencil drawings and would like to one day be an art teacher. She lives at the Don Bosco home, along with her friends. 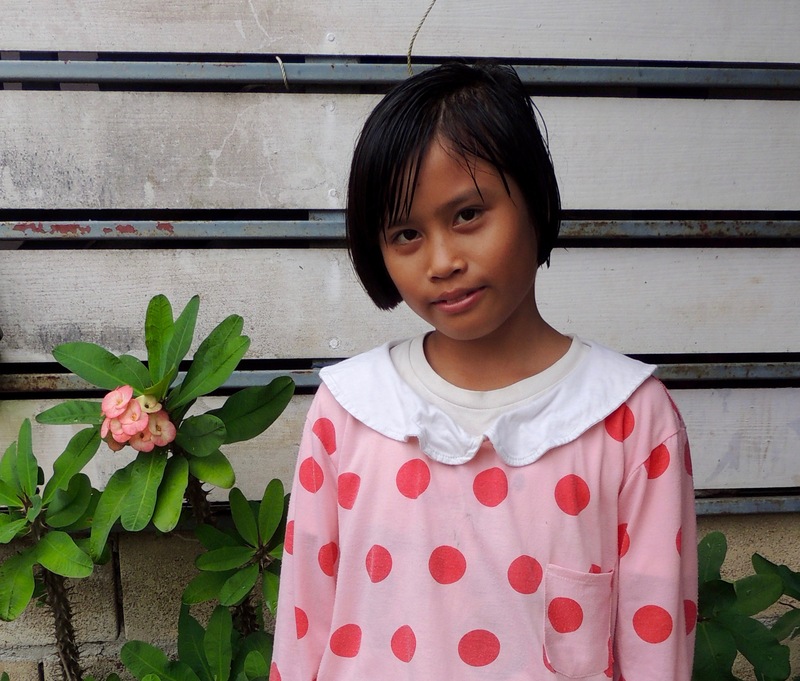 Kaow Neiow enjoys doing the daily chores like sweeping and cleaning the communal rooms. She has been supported by the generosity of donors for 3 years and is a great example of the benefits of this program. 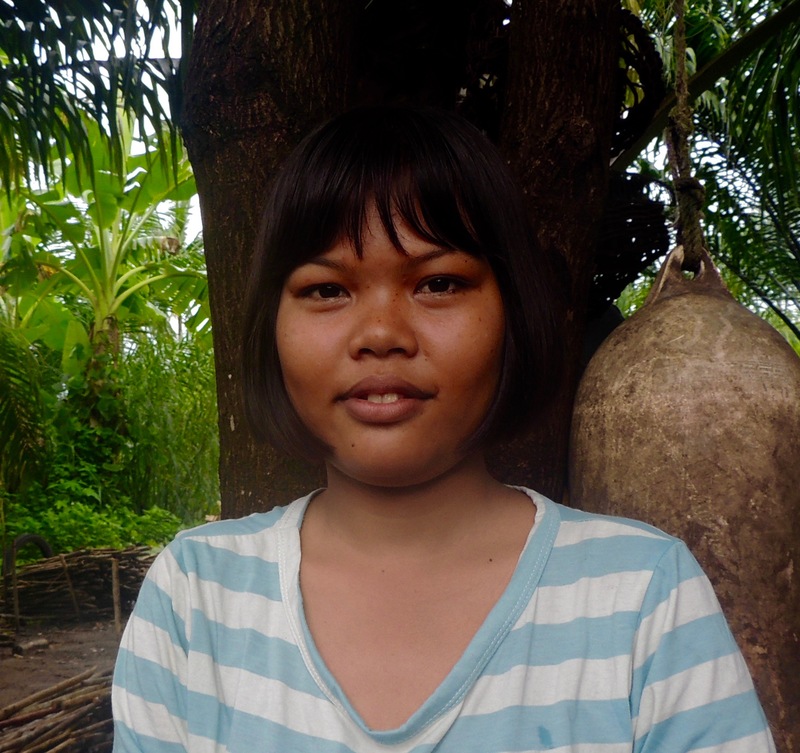 Darunee Klaytalay is the oldest daughter of Nuei and his wife who live on Koh Surin. Her father is a member of the Moken community tourism group and is an active member of the community. Darunee is 13 years old and is studying in the 7th grade at Takuapa School as part of the Moken Scholarship program. She likes listening to music and plays Thai musical instruments at school. At the Don Bosco home, she likes to play jump rope with younger students. When she is back visiting her parents in Kuraburi, she likes watching TV. She hopes to become a doctor one day. 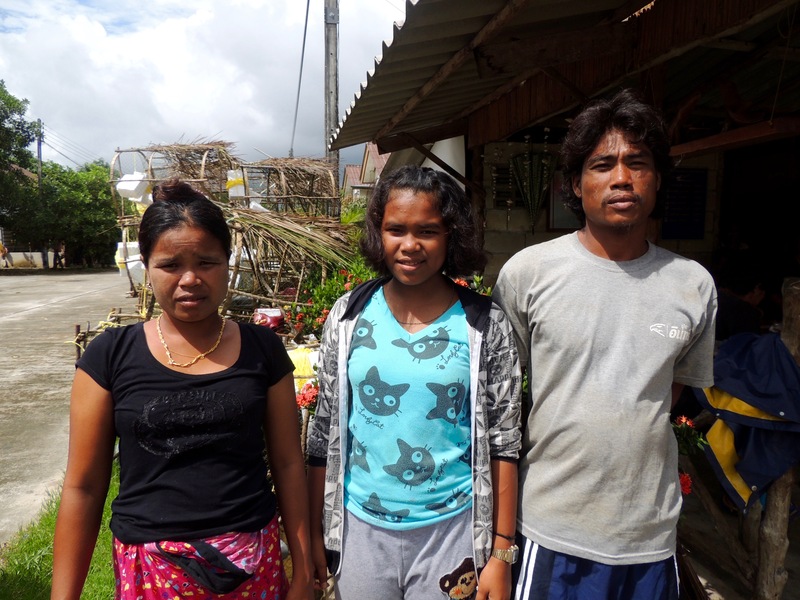 Before attending Takuapa School with the Moken Scholarship Program, Preawa lived with her mother, father and younger siblings on Koh Surin. Her father is a fisherman her mother takes care of the children. She enjoys attending school on the mainland so she can study and travel around the local area. She would like to be a flight attendant so she can travel and see the world. When on the island she likes to swim in the sea. Prea is 12 years old and studying in the 6th grade at the Takuapa School as part of the Moken Scholarship Program. Her father is a fisherman the supports her family as they live between Koh Surin and the mainland. She likes talking with her friends and would like to be a Thai teacher one day. Prea helps clean the school on the weekend with the other students. She appreciates being with her friends at Don Bosco and the opportunity to study in school.